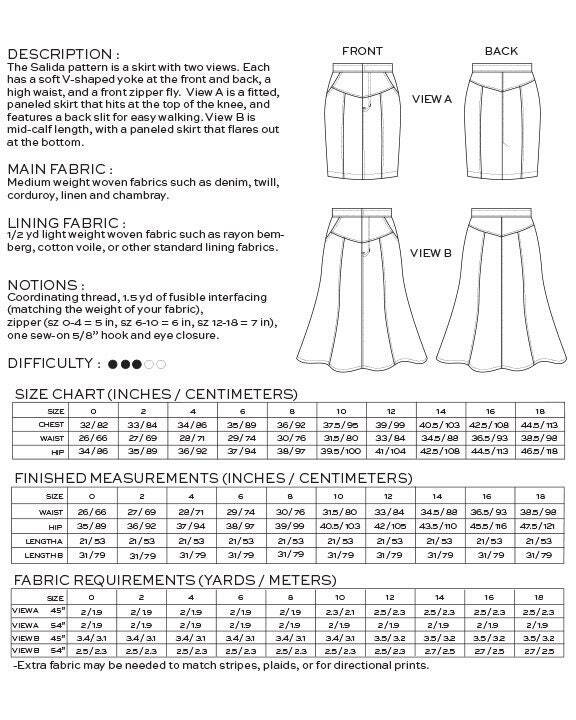 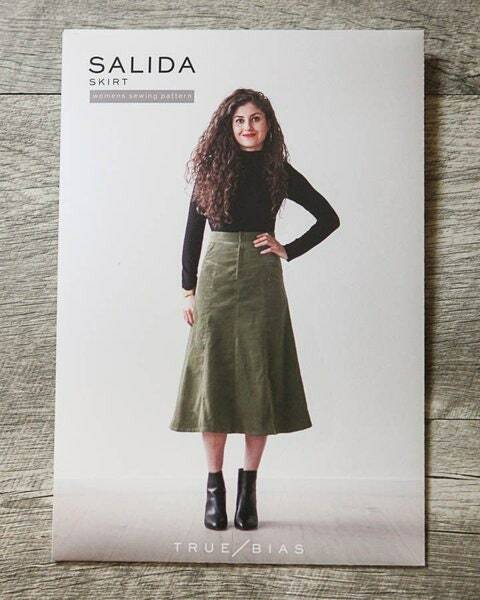 The Salida pattern by True Bias is a skirt with two views. 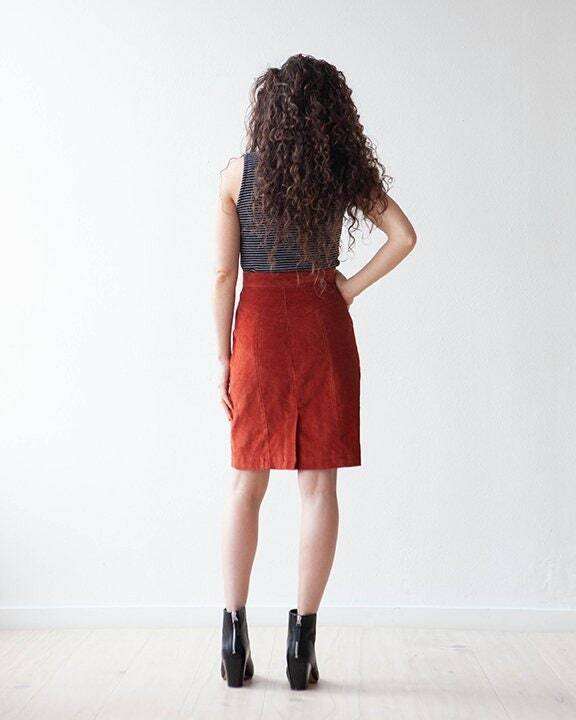 Each has a soft V-shaped yoke at the front and back, a high waist, and a front zipper fly. 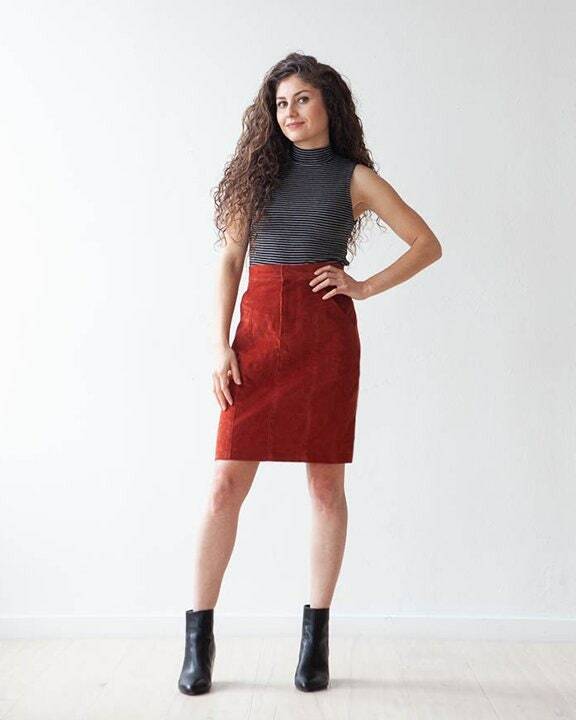 View A is a fitted, paneled skirt that hits at the top of the knee, and features a back slit for easy walking. 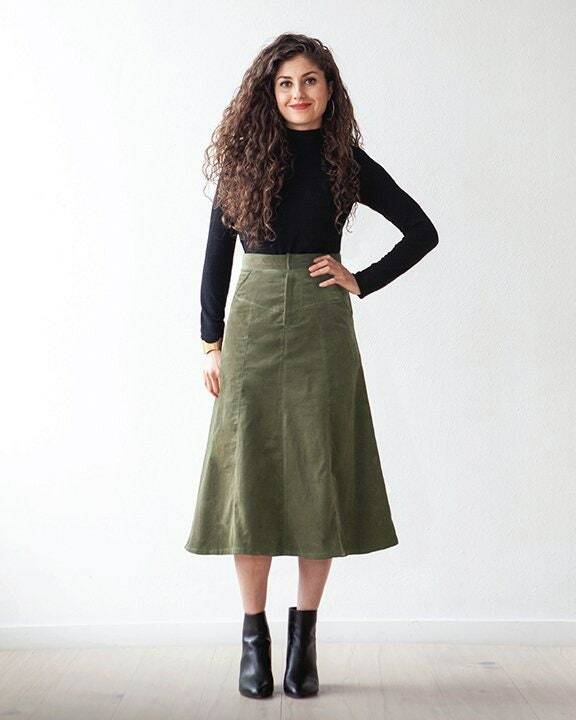 View B is mid-calf length, with a paneled skirt that flares out at the bottom.